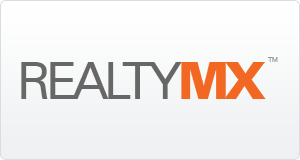 RealtyMX™ is a complete management system for real estate brokers and agents. Whether you are using an internal listings software program or a web site administration application, RealtyMX can be seamlessly integrated with any of your legacy systems, to enhance productivity. Our development team has an extensive experience in implementing Internet and Intranet applications. Our growing Real Estate Industry client base, coupled with our desire to supply them with the most effective real estate web solutions, prompted us to create the RealtyMX application. It is comprised of CRM logic (Client Relationship Management) and an advanced CMS (Content Management System) customized specifically for real estate professionals. We successfully assist real estate brokers and agents with their online marketing efforts, while interacting with approximately millions of optional clients every month. You can be one of them.